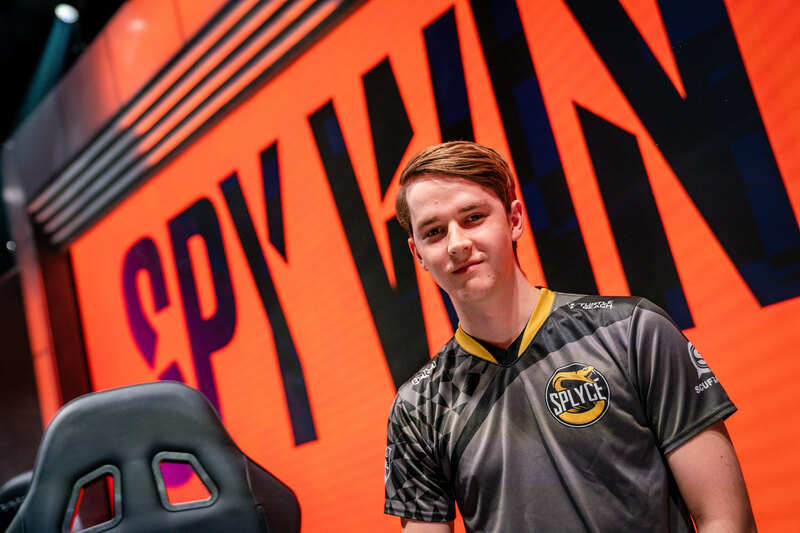 Splyce first surged onto the European League of Legends scene in 2016 boasting a sick lane swap strategy that perfectly complemented their cross-map play. It was the best way to play League for most of the year before getting gutted by a change to how early game turrets work. On Friday in the LEC semifinals, Splyce defied the game and pulled out a lane swap again. Facing a deficit after dropping the first game, they drafted a Tristana bot lane and rotated up through the lane bushes to top lane. The maneuver completely surprised Fnatic top laner Gabriël “Bwipo” Rau. At first, it didn’t look like the swap got them much of an advantage as Fnatic exited with a gold lead. Fnatic’s bot lane, taking advantage of the weaker bot lane turret, were able to drop three turret plates to Splyce’s none. Turret plates were supposed to be the reason the lane swap worked in the first place. But Splyce bot laner Kasper “Kobbe” Kobberup actually got what he needed. Alongside a kill on Bwipo, he was able to rush a first item B.F. Sword while dodging the lane against Fnatic’s Martin “Rekkles” Larsson. When Splyce reset and returned to bot lane with three players, they broke the game open with a massive trade. By 19 minutes, the Tristana was at three crit items including Infinity Edge. By 21 minutes, they had a free Baron. But right after they took Nashor, jungler Andrei “Xerxe” Dragomir decided to pull the enemy Cho’Gath into the middle of his team. The Cho’Gath got a Kayle ult dropped on them and Fnatic wiped the fight. The second time Baron spawned, Splyce were ready. Rather than take it haphazardly, they turned on Fnatic and Kobbe was able to make use of his four items to win the fight. With the lead that they had, Splyce withstood Fnatic’s fully-leveled Kayle to win the game and even the series at one game each.